Our newest and largest luxury shuttle bus, has capacity to transport up to 33 passengers comfortably. Equipped with a DVD player and 4 flat screen TVs. Seats are very comfortable - each has its own plush cushion and independent footrest. There is also a bathroom on board! Perfect for those long trips. 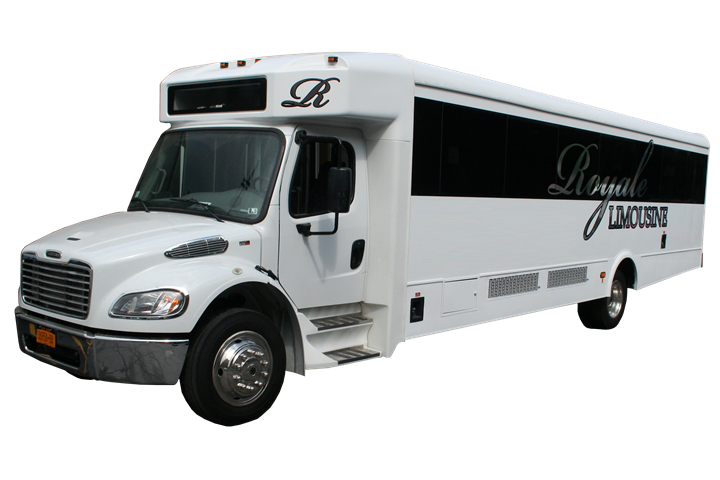 This bus is our best-valued option for large groups. Amazing Customer service! Would not let me review as a business, so I left a post on the wall, from A Lively Event. Every person I came in contact with was amazing! Especially the driver we had. Don went above and beyond, while being pleasant and upbeat! We shared many laughs and hair blowing experiences (Tornado like winds that day)! Thank you for making my clients day amazing and making my day easier!